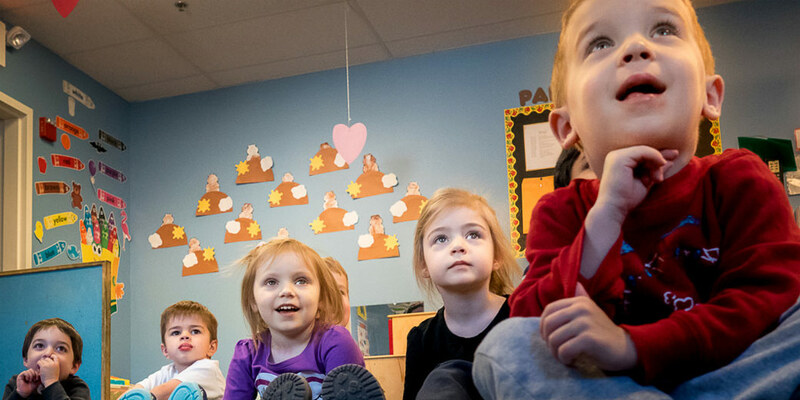 Welcome to Bright Light Early Learning Center, where we offer the absolute best in early childhood education. The foundation for everything we do is our staff of loving and professional teachers - half of whom have been with Bright Light for more than ten years each. We offer an array of flexible programs that are educational, stimulating, and fun. Your child’s education begins right here, right now. Bright Light offers a loving environment where each child not only feels welcome but at home. The Bears room is for infants between six weeks and approximately 18 months. Our low teacher to infant ratio allows lots of holding, cuddling, and love – what babies need most! We have two separate toddler rooms. The Monkey room is for younger toddlers from 18 months to two and a half years, while the Tiger room is for older toddlers from two and a half to three and a half years. We have two separate preschool rooms. The Elephant room is for younger preschoolers from three and a half to four and a half years of age. The Giraffe room is for older preschoolers preparing for kindergarten. The Shark room is for school-age students. We have two separate programs, one for kindergarteners who attend local elementary schools, and another for older school-age students. Bright Light provides transportation to and from the local elementary schools. At Bright Light, summer is our favorite time of year! We are proud to offer one of the most exciting summer programs in the area for children ages six to twelve. Selecting a child care provider is one of the most important decisions you will make as a parent. At Bright Light, our promise is very simple. We offer the absolute best in early childhood education – in an environment where your child always feels welcomed and loved. As you consider your child care options, we invite you to tour our facility, meet our staff of loving and professional teachers, and observe our programs in action. We invite you to come and see why so many working families over the last 25 years have chosen Bright Light to meet their pre-school and child care needs.